LAHORE: (Friday, January 19, 2018): Punjab University and Fatima Jinnah Medical University have signed a memorandum of understanding to extend cooperation in the field of medical education between the both organizations. 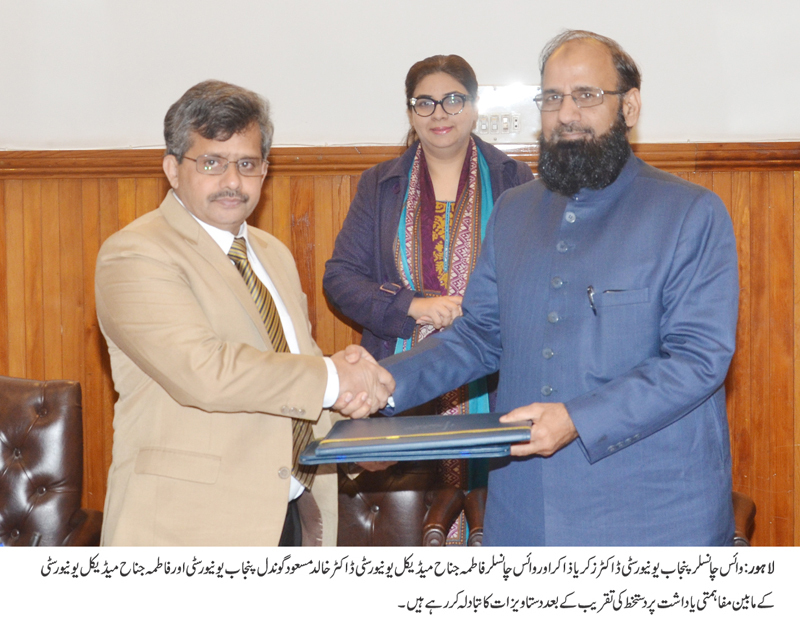 In this regard, an MoU signing ceremony was held at Punjab University’s vice chancellor office here on Friday. PU Vice Chancellor Prof Dr Zakria Zakir, FJMU Vice Chancellor Prof Dr Khalid Masood Gondal, Prof Dr Rubina Zakir, Director External Linkages Dr Fauzia Hadi Ali and other officials were present on the occasion. According to the agreement, FJMU would provide advisory services and allow its faculty to act as visiting teacher at PU while Punjab University would offer opportunities for education and research for the faculty development of FJMU through short and long courses. 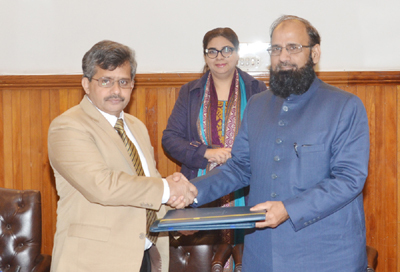 PU VC Dr Zakria Zakir said that both the universities would collaborate closely in improving quality of programs, curricula, examinations and research in the field of health sciences. Dr Zakria Zakir stressed the need to enhance cooperation in various areas of mutual interest.